Today, we are interviewing Gerhard. He started his carer as an IT guy in an MNC. Now, he runs an online marketing agency to help clients find recognition on the internet. 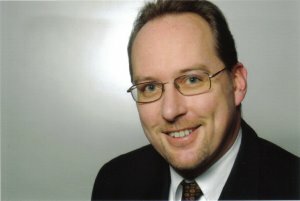 My name is Gerhard, 46 years old, living in Munich, Bavaria, Germany. I’m running a small online marketing agency which leads clients from implementing their visions to monetizing their online appearances. Man, I started my online career within a big multi-national company way back in 1999. One of my first task was setting up a company-wide intranet for some thousands of employees. Outstanding relation of quality and price! Plugin: Mega menu – Truly nice, eye-catchy and looking even better on mobile! Start developing a intuitive WordPress editor. Shortcodes are just the 2nd best option. Flawless installation & usage. Good documentation. It´s fun playing around with all the customization options! If one can install WordPress, I don´t see a hurdle to get the MyThemeShop products up and running quickly. Thanks a lot Gerhard, for sharing with us.